On December 6, 1989, 14 women were singled out because they were women and murdered by a man with a hunting rifle at the École polytechnique in Montreal. Most of the victims were young engineering students. In 1991, the Parliament of Canada established December 6 as the National Day of Remembrance and Action on Violence against Women. As we once again mark this sad anniversary, we remember the many women here in New Brunswick and throughout Canada who have been killed or harmed, often by their intimate partners but also by strangers, acquaintances or neighbours. We also think of all the women and girls who still live daily with the threat of physical, sexual, emotional or psychological abuse. It is also a time to reaffirm our commitment to ending violence against women. “First mourn. Then work for change.” The inscription on the December 6th monument in Riverview is a call to action. Gender-based violence is rooted in inequality. All women are vulnerable to violence but some are more vulnerable than others. Women marginalized by poverty, racism, ableism, homophobia and transphobia face a particularly high risk of violence. We know that violence at home spills over into the workplace. One-third of workers who participated in the 2014 survey by the Canadian Labour Congress and the University of Western Ontario said they had experienced domestic violence and it affected them at work. Violence followed them into the workplace through harassing emails, calls, texts or stalking and physical violence. Some even quit or lost their jobs. Victims of domestic violence pay a high price, but there are also costs for employers if they have to hire and train new employees. What can we do as union members to end gender-based violence and support affected workers and families. Support the advocacy and awareness-raising efforts of community groups. 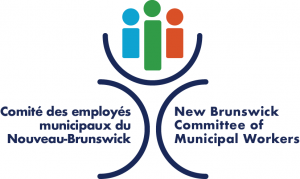 See the list of December 6th commemorative events on the CUPE NB website https://nb.cupe.ca/ or at the end of this statement. Lobby provincial and federal politicians for stronger laws on workplace harassment and violence, including domestic violence. The labour movement wants improved working conditions and a better quality of life for everyone. We applaud the government of Manitoba’s recent commitment to introduce paid and unpaid leave for domestic violence situations. The proposed changes to employment standards legislation would allow victims to take time away from work to recover from violence without fear of losing their job. Other governments should follow Manitoba’s lead.